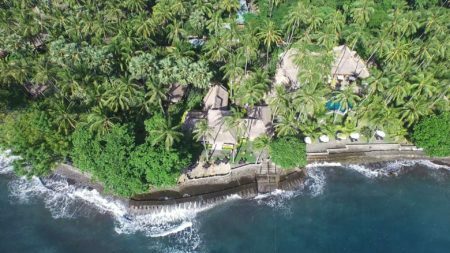 Each guest staying at Alam Anda for a minimum of 30 nights during the period from the 1st of December 2018 until the 15th of March 2019 will receive 30% discount on the room rates and on the supplement for half board. This means that you can book a 30 days’ stay in a Losmen Room starting from EUR 576,- and in a Seaview Bungalow starting from EUR 987,-. The supplement for half board for 30 days costs EUR 399,- and full-board for 30 days costs EUR 630,-. Guests staying for a minimum of 30 days receive 30% discount on food and beverages as well. Each guest staying at Siddhartha for a minimum of 30 nights during the period from the 1st of December 2018 until the 15th of March 2019 will receive 30% discount on the room rates and on the supplement for half board. This means that you can book a 30 days’ stay in a Superior Bungalow starting from EUR 1113,- and in a Deluxe Bungalow starting from EUR 1344,-. The supplement for half board for 30 days costs EUR 504,- and full-board for 30 days costs EUR 756,-. 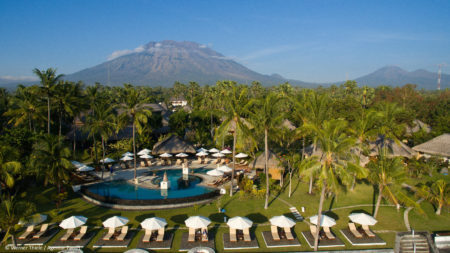 Further information or booking at book@siddhartha-bali.com, book@alamanda.de or via phone +49 4182 238 96 00.